South Korea has launched a single-stage rocket to test a locally made engine as part of efforts to place a satellite into orbit. 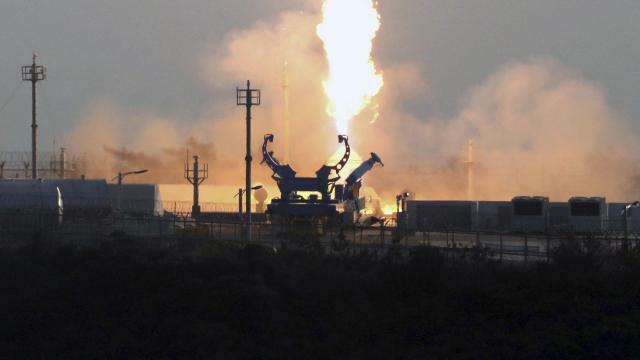 The Science Ministry says it has confirmed its engine test was successful after the rocket landed off the southern coast on Wednesday. It says South Korea aims to develop a domestically built space launch vehicle by 2021. In 2013, South Korea succeeded in thrusting a satellite into orbit aboard a rocket blasted from its soil for the first time, but parts of that rocket were built with Russian help. Rival North Korea put its first satellite into space in late 2012, a launch viewed by Seoul and Washington as a test of Pyongyang’s long-range missile technology. Last year, North Korea conducted three intercontinental ballistic missile tests.